This list of links and resources will help you locate legal information and assistance. 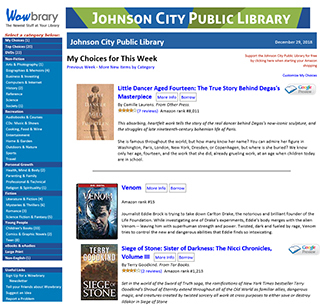 If you need help navigating these resources, contact the Johnson City Public Library Adult Services Department at (423) 434-4454. You can find additional resources by searching the library’s catalog. The Johnson City Public Library staff can help you locate and teach you to use library resources to accomplish your research goals. You have the responsibility to perform your own research or hire a trained legal professional. We cannot give you legal, medical, or business advice. We cannot fill out forms for you. The Tennessee Supreme Court created this legal resource to help Tennesseans locate legal information and assistance and to connect legal professionals with ways to offer legal help. Find definitions for legal terms and information about the court system in Tennessee. Locate resources by county, download court forms approved by the Tennessee Supreme Court, and learn how to represent yourself in court. The website also connects to mediation resources to help settle disputes out of court. Legal Aid of East Tennessee provides free civil legal assistance for the elderly, victims of domestic violence, and low-income families. Visit their website to locate legal resources online and to view their upcoming free legal clinic schedule. Legal professionals can also find ways to help through Legal Aid’s Pro Bono Project. Download an electronic version (pdf) or request a print copy of this outstanding resource, produced and updated by the Tennessee Bar Association. Find information on a wide range of topics for seniors and their supporting family members including financial assistance, health care, long-term care and housing, and personal safety and security. This website is a good first step to locate resources on various civil law topics. Find national, state, and regional information, as well as court forms and information on representing yourself in court. Eligible Tennesseans (visit their website for the guidelines) who have a civil legal issue can anonymously ask up to three questions per year. A team of volunteer lawyers review and answer questions within 7-10 business days. TALS is a state-wide non-profit organization that helps provide legal information and services for low-income and elderly Tennesseans. Click on “Find Representation” to find local resources and offices that provide civil legal assistance. Find the Tennessee court dockets for participating counties. The website for the Administrative Office of the Courts of Tennessee provides information about the state court system. Click on Information for Citizens to search court opinions, find judicial biographies, and find legal resources such as Court Rules and the Tennessee Legal Code. The Tennessee Judicial District Map provides links to district courthouses and contact information for county clerks. Tennesseans with civil legal issues may call this toll free number any time, and a licensed Tennessee lawyer will offer free legal information and referrals to low-income individuals. Find definitions for legal terms. Also, read the text of the Declaration of Independence and the Bill of Rights. This site provides legal information on taxation, healthcare, and immigration. Nolo, the creators of respected legal guides, provides a great deal of free legal information on their website. If you require more in-depth legal help, you can also use the Nolo Lawyer Directory to search for a lawyer by type of practice and location. Use the Court Locator Map to find courts in your district, search PACER (Public Access to Court Electronic Records), and find court forms at the federal level of government. The U.S. Patent and Trademark Office is responsible for granting patents and registered trademarks to inventors and businesses. Their website offers many useful tools, including the ability to search databases of patents and registered trademarks, learn about the legal protections these offer, and find out how to procure them. The site provides information on U.S. and international intellectual property law. Search the NOVA Advocate Directory to find lawyers trained to assist with veterans’ benefits. This website connects United States veterans with legal information and assistance. On the U.S. Citizenship and Immigration Services website, find naturalization resources and forms. Resources are available in several languages. Search by state to find legal assistance resources for immigrants. Here is a list of websites with information related to the upcoming 2016 election. Use this directory to locate the official websites of government institutions at the state, county, and city levels. The official website of the State of Tennessee government. Find links to many departments and resources here. Find out what the state legislature is up to, or who your representative is, at their official website. This website was created by the Library of Congress to provide information on the legislative activities of the U.S. Congress. 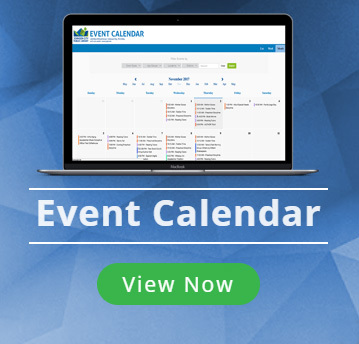 Get in-depth information on all legislation since 1973, learn more about the legislative process, read about the activities of different congressional committees, and research the voting records of individual members of Congress. The Congressional Record is a daily digest of proceedings and debates in Congress, and can be accessed through an app on Apple devices. Find contact information for your federal or state elected officials to share your views and concerns. Check the facts of that political statement or advertisement. Very useful during election season. It is run by a non-partisan think-tank. Find the voting records for your representatives in Congress and track bills and resolutions. This is the official website of the U.S. House of Representatives. Find tax forms online, guidelines for filling out your taxes, and links to sites where you can e-file your federal taxes. Take a look at declassified intelligence documents (including the famed Area 51 files) at the NSA archives hosted by George Washington University. Oyez is a long-standing project originally established through Northwestern University and currently maintained by the Chicago-Kent College of Law, with this objective: “To make the work of the Supreme Court of the United States accessible to everyone through text, images, audio, and video” (from the About page, 1/8/2015). There is also a handy weekly roundup feature that summarizes the most important cases of the week. Find out what regulations exist, or are proposed, here. You can also leave comments for government officials regarding those regulations. They are forwarded to the appropriate individuals and you may even receive a reply. This is the official website of the U.S. Senate. See what is on the docket, and more, at the official site of the US Supreme Court. If you are researching federal spending, this website may be helpful. If you are looking for government financial assistance, check Benefits.gov. If you want to know who voted for what this project by the Washington Post can really help you out. The State Department’s official website has a lot of great information, from travel advisories to policy issues. If you are traveling overseas you may want to know where the nearest US Diplomatic mission is. Find out that, and much more about your destination, here. This is a directory of almost every government agency. You can find them in alphabetical order. If you are looking for an organization it should be here. The Government Printing office provides access to all government documents from each branch. Find out how much it will cost to mail a letter or parcel at this USPS site. There is also a nice guide to saving on shipping too.